Admit it, you care more about getting your dog the perfect holiday gift than you do about getting yourself anything nice. That’s okay, we love our dogs. This holiday season, don’t settle for a bag of bones and a new dog bowl. Think big. 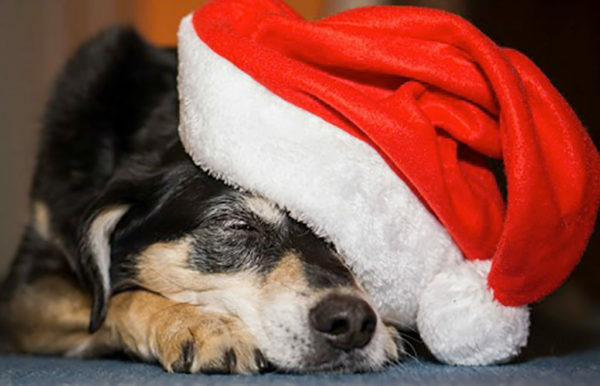 Here’s how you can stock your wish list with some truly useful items to help you, as the dog owner, as well as make your pooch happier, safer and more comfortable. Most of us work and therefore cannot spend all day with our dogs, however painful that reality may be. If you have to leave your dog home alone for long periods of time or you travel a lot, you can give yourself some extra peace of mind if you know that your dog is happy and safe at home (or at the sitter’s). One of the best ways to do this is with a dog-monitoring camera. The tech for this has really improved over the past few years, with most new doggie camera models linking directly to your smartphone for 24/7 viewing. In the same vein as a monitoring camera, a dog-tracking device that uses GPS and links up with your smartphone will allow you to locate your beloved canine in the horrific event that they run away, go missing or even worse — get stolen. You don’t need to implant a tracker under your dog’s skin or anything. Modern trackers can be affixed gently to your dog’s collar. Many dogs suffer from anxiety, are quick to frighten during loud events like parties and thunderstorms, and suffer from a variety of behavioral issues. Many vets and pet experts recommend a tight-fitting shirt, branded as a Thundershirt, to help with this. There’s plenty of anecdotal evidence out there that it works, too. Many dog owners swear by them. At under $30, they are worth a spot on your holiday wish list. Sure, plenty of dogs enjoy your classic tennis ball or frisbee. But some dogs require a little more of a mental workout. Puzzle toys are great, inexpensive items to add to your wish list. These toys are highly varied but most require dogs to use problem-solving skills to access treats or food. If someone got you a brand-new, comfortable bed for the holidays, would you be happy? You bet. Your dog will be too. Dogs spend a lot of their time sleeping, so a nice bed is crucial to their happiness. Bed sizes vary, and there are options available for both large and small breeds. Dental bones are great ways to kill two birds with one stone – they give your dog something to eat and they help with their dental care in the process. There are dental bones out there that help remove plaque, freshen your dog’s breath, and prevent the buildup of biofilm on your dog’s teeth. Ok, you’re allowed one sort-of silly item. It is the holidays after all. Does your arm get tired throwing that tennis ball hundreds of times? Would you like to sit and read and book but also give your dog a workout? Automatic ball throwers may not seem like a worthwhile expense any other time of the year. Now’s your chance. So, what are you waiting for? Starting building that dog-centric holiday wish list today!